Twins grow up sharing a lot of experiences. 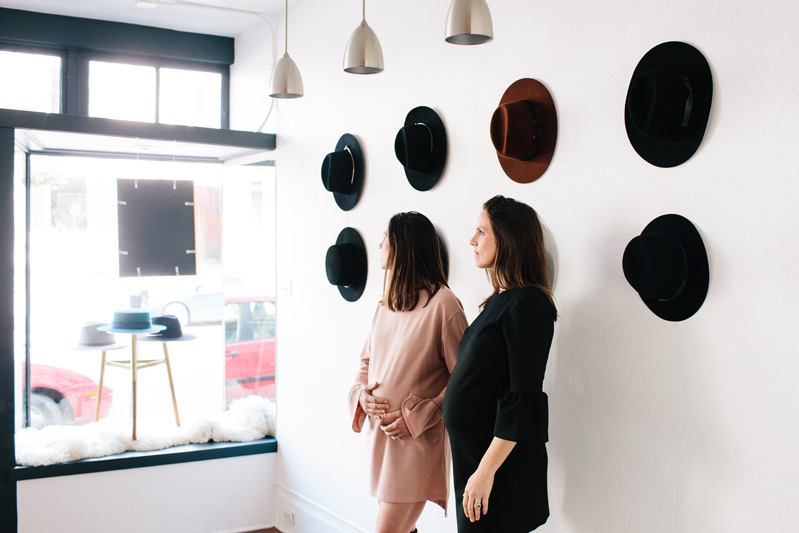 This especially rings true for identical twin sisters Sara Kellenberger and Ashley Cornil, who not only share the responsibility of running their Bay Area-based hat-making business, Kin The Label, the two women also, coincidentally, wound up pregnant at the very same time. Yep, that’s right. 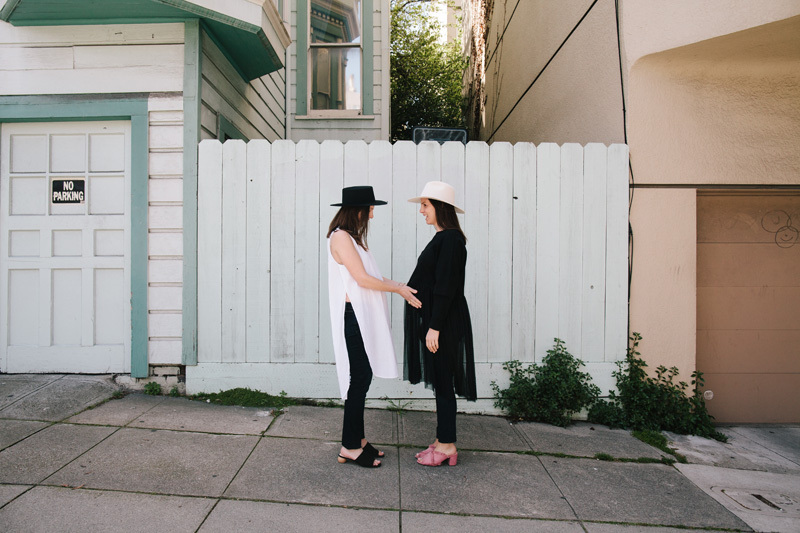 Sara, who lives in San Francisco, delivered her first child, a daughter, not too long after our shoot. And Ashley, who resides in Marin with her 2 1/2-year-old daughter Harlow, will give birth to a baby boy any week now. 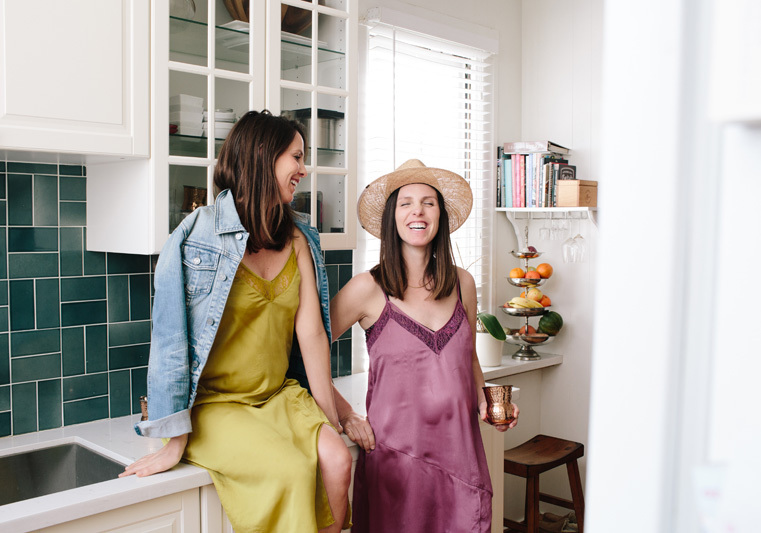 To document this double-take-inducing moment in time, we caught up with the sisters to snap some bump-to-bump shots and talk pregnancy style, business, and expecting side-by-side. First, let's get acquainted! Sara (left, pictured in her home) is on baby #1 (a girl). Ashley (right) is on baby #2 (a boy). Sara: "We always thought it would be cool to have our kids close in age so that they’d have built-in playdates. We did not plan our pregnancies together, but rather it happened serendipitously, as Ashley is having her second and I my first." Sara and Ashley wear Floreat slips. 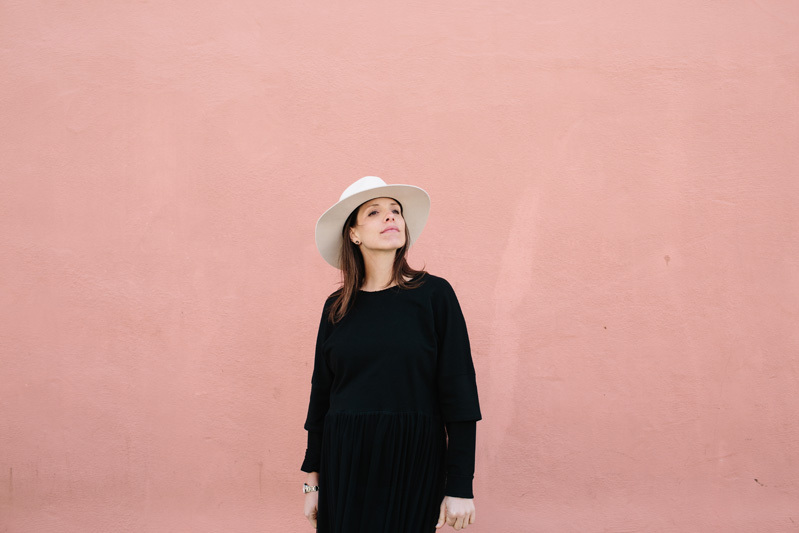 Sara: "My husband, James, and I broke our pregnancy to Ashley and her husband, Julien, after a nice beach day in Sausalito. I actually had to turn down a margarita, so the timing was impeccable." Ashley: "I revealed the news of baby #2 by putting my older daughter, Harlow, in a 'Big Sister' t-shirt and letting her parade around until the family picked up on it. We wanted the news to be hers to share." Sara: "Our parents are ecstatic. Our mom especially. She has already begun the notorious shopping sprees for our littles. Our two brothers couldn’t be more excited. We are a decent-sized family, so more nieces and nephews means more entertaining chaos at family gatherings." 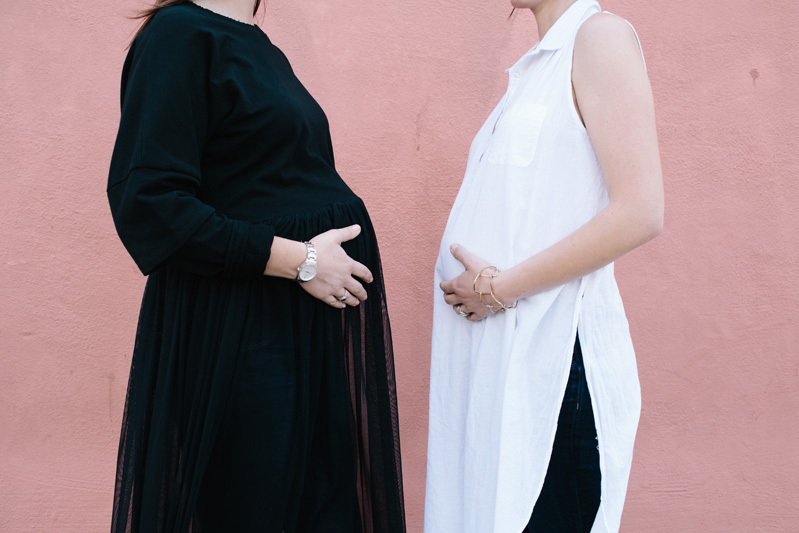 Sara: "My pregnancy was really easy with no complications and the delivery was really smooth. I never really experienced the bloating towards the end of my pregnancy, so was able to continue to stay active. I think that helped with birth." Ashley: "My pregnancy has been really smooth. 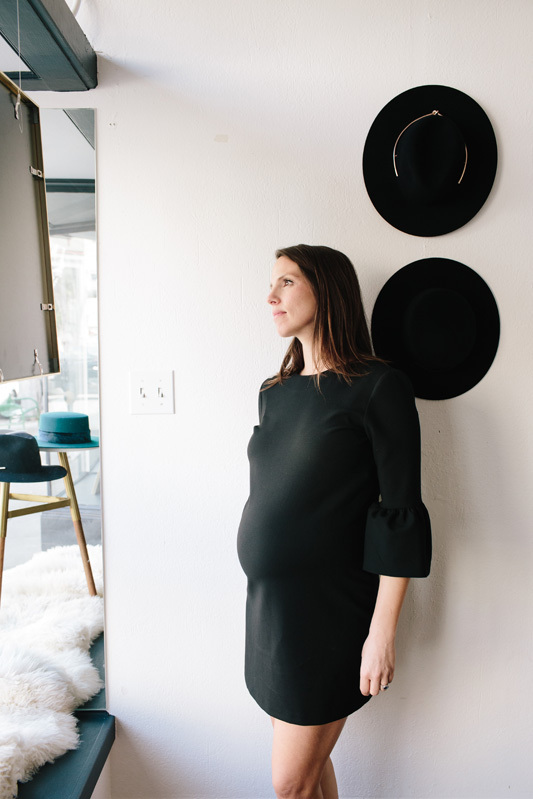 The third trimester with a boy is different than that with Harlow; He’s much more active and makes his presence known on an hourly basis. This pregnancy requires more rest, and likely because I already have a 2 1/2 year old." 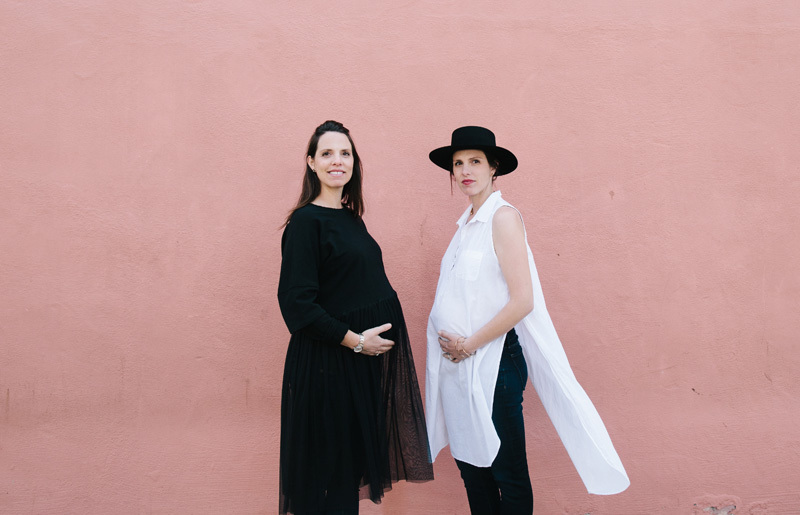 Sara: "I would say bouncing pregnancy symptoms off each other. 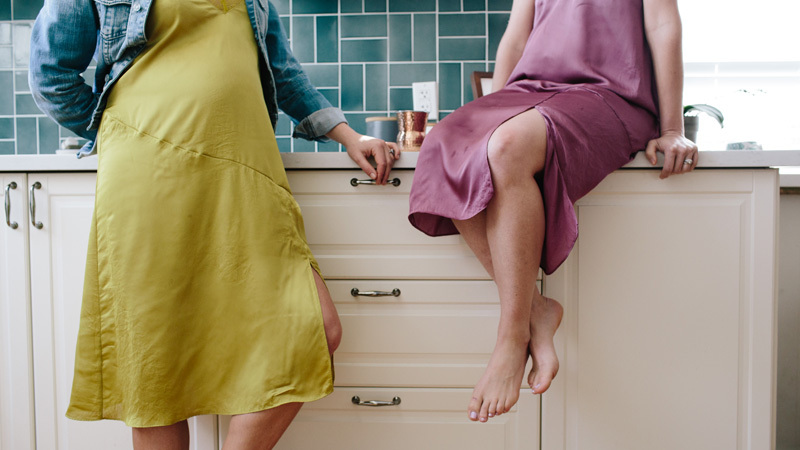 Since Ashley is having her second, I got all the little pregnancy insights of what to expect and remedies that you just don’t read about in books. 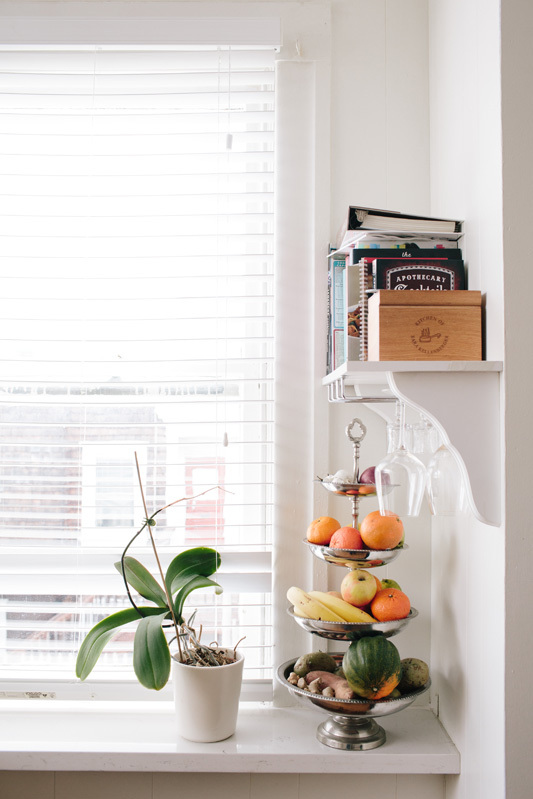 We also get a kick out of sharing those pregnancy cravings because there is no judging." Ashley: "It was fun to see Sara experience pregnancy for the first time. Every day is different and exciting as you watch your baby grow. 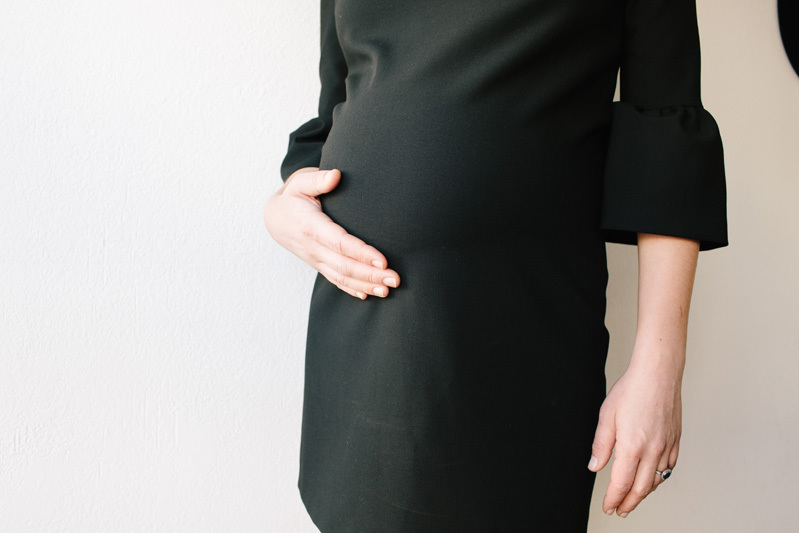 I enjoyed sharing dos/don’ts based on my first pregnancy. We have lots of laughs." 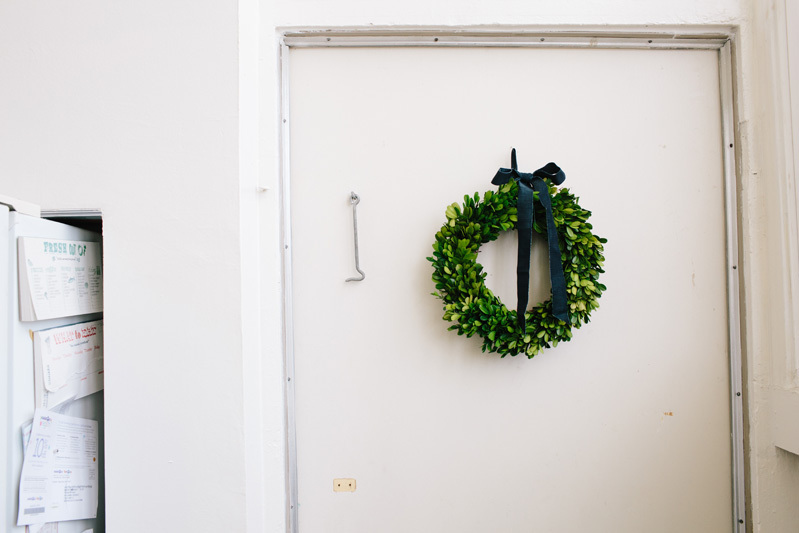 Sara: "I had such a great mom and tons of memories cooking, crafting, and hanging together. I get excited that I’ll be able to share those with my daughter. I also love the fact that I get a little mini-me sidekick to pal around with." Ashley: "With the second child, I look forward to watching the siblings interact. We grew up with four siblings and plenty of space to run around. My siblings are my best friends, so I’m happy and feel blessed to offer my children a brother/sister to share in this unique bond." Sara: "I get a bit nervous not being able to protect her. I live in the city and life moves very fast here. My biggest fear is her running into the street." Ashley: "I constantly worry about the kids’ safety, no matter where we are. 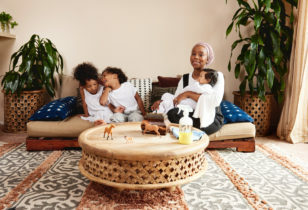 I also want to make sure I give the kids my full attention when we’re together, and not be distracted by the daily grind of work." 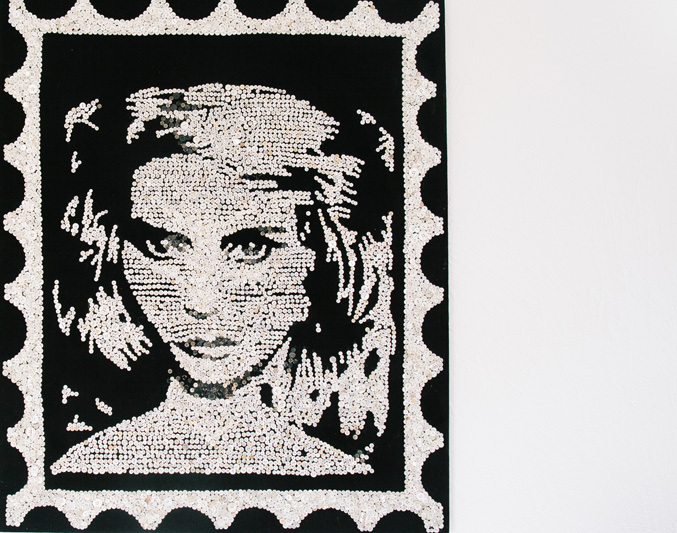 A Debbie Harry portrait by Sara, made out of buttons. Sara: "Our newborn daughter’s name is Sabella Harper. We both gathered a list of our favorite names and spent a weekend away to decide. We wanted something feminine that she could grow with that was also unique. Her middle name has always been one of my favorites, so we thought maybe giving her that as her middle name in the case she wanted to use it as she grew up. It also meant we didn’t have to choose between the two." Ashley: "Harlow is typically an English surname and was a name I loved because it was unique, easy to spell, and had a great nickname, 'Lolo.' It took some time to convince my husband, but he came around. Her middle name, 'Vie' comes from the song 'La Vie en Rose,' meaning 'Life Through Rose-Tinted Glasses.' It was fitting, as this song was our wedding song. As for Harlow’s brother, his name, which will be revealed at birth, represents three very strong men in our families." Sara: "Amanda Booth is an amazing inspiration. She has shed some light on children with Down Syndrome and has helped shatter stereotypes on the topic. And sounds cliché, but my mom, who raised four kids. 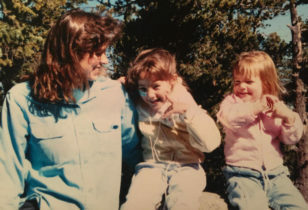 She had two of us in diapers, a toddler, and a 6-year-old, while still managing to have a spotless house, dinner cooked every night, and always having an upbeat attitude." Ashley: "Yep. Our mom, as cliché as that might sound. She raised four kids under the age of five; two of which were crazy, wild boys and then a set of twins. Our family has a very strong bond and an honest sense for who we are individually and together. I attribute this self-confidence to how we were raised, and the values my parents instilled in us." 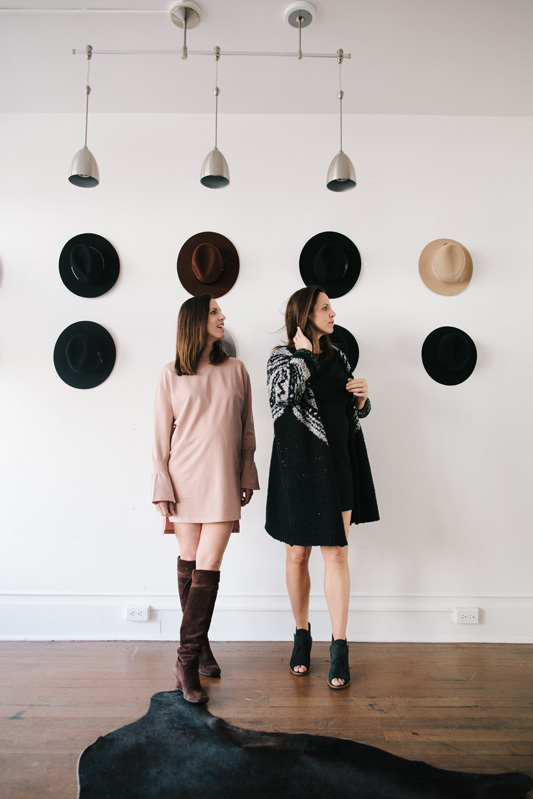 The sisters outside of their shop and studio space. Ashley wears a Cotton Citizen dress and Free People boots. Sara wears a Vince dress, Zara sweater, and Gianivello shoes from Spain. Sara: "I just finished the book Cherish The First 6 Weeks. It’s an easy read on getting your baby used to a sleeping and eating schedule. Sounds a little rigorous, I know, but there are some great tricks you can use in there to help your baby understand when it's time for napping, bedtime, and self soothing. I guess we’ll see how well it works. I also used the app OVIA during pregnancy. 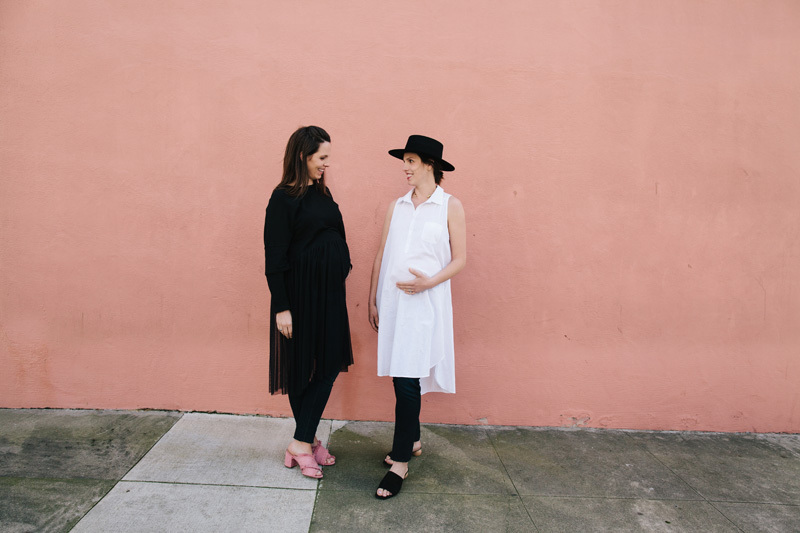 It was a fun way to see the growth of your baby and offered lots of insights into your pregnancy symptoms and diet." Ashley: "Baby Wise—it’s a long time classic, but a great guide for getting your child to sleep. I found that sleep was the most challenging part of infant/toddler life. It’s crucial for children’s development, play, interaction, how they eat, etc." Sara: "We grew up in a family of six with two older brothers. We were fortunate to grow up in Los Altos Hills with a lot of space to run around. We had a mom that loved cooking and being creative. Our childhood was filled with art classes, sports, and family adventures camping across the 50 states." Sara: "We loved having the built-in partner-in-crime growing up. As we have gotten older we value our friendship and each other's opinions the most. It’s nice to always know you can be an open book with each other with no judgement. Oh, and swapping closets is an added bonus!" Ashley: "Hang in there. We hear stories of our parents feeding one twin twice and the other twin missing a feeding. We are identical, so that can happen. Twins will naturally have that special bond, but something our parents did was encourage us to have different interests and opinions. As a twin I fully believe it’s important to have your individuality. It can be hard if you grow up so close to your twin sibling, but down the line will make your relationship that much more dynamic." Ashley: "Inadvertently. I raise Harlow based on what I know and experienced as a child. I do think parenting styles have changed given outside influences that require parents to adjust the methods by how they teach and guide children’s actions, but at the core of all teachings are a core set values. These values, such as honesty, respect, integrity, courage, will never change no matter when and where you are raised." Sara: "Try to enjoy all of the little moments of pregnancy and motherhood, even in difficult times. I’ve learned to take a step back and be present because time flies by and you will never have those moments back. I’m a huge supporter of going with the flow. I like routines and schedules, but also realize rolling with the punches can make things a bit less stressful. Also, having a great wine stocked in your house can really get you through those tough days when you need a little ‘me’ time." Sara: "I’m excited to have a little babe that I can teach all those girly things to, as I’m sure she will play in my closet. There is that special bond you have with your mom. We are super close with our mom and I had always wanted that with a daughter." Ashley: "I’m excited to experience a new personality in the house. Harlow loves babies, cooking, and pretty things, but she also loves to get dirty and dig up bugs. Boys bring a different energy and dynamic to a household that will equal my husband's. It’ll be great for my husband to have a buddy." 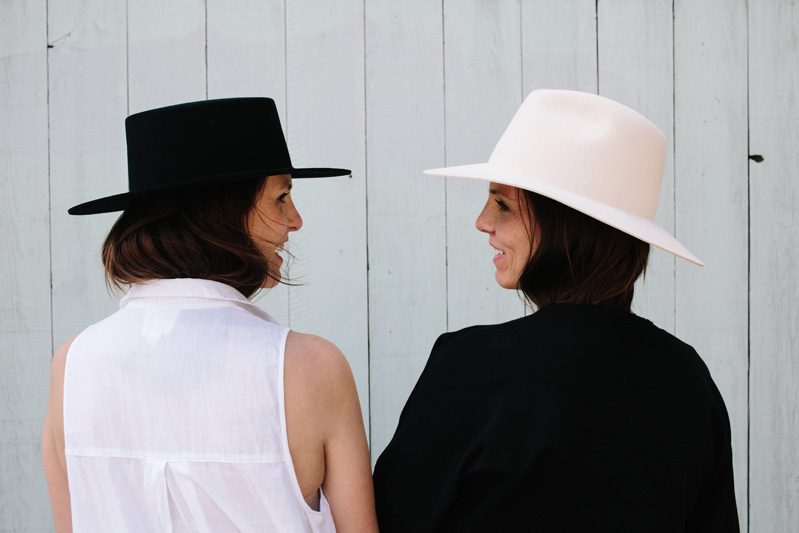 Sara: "We are co-designers for Kin The Label. 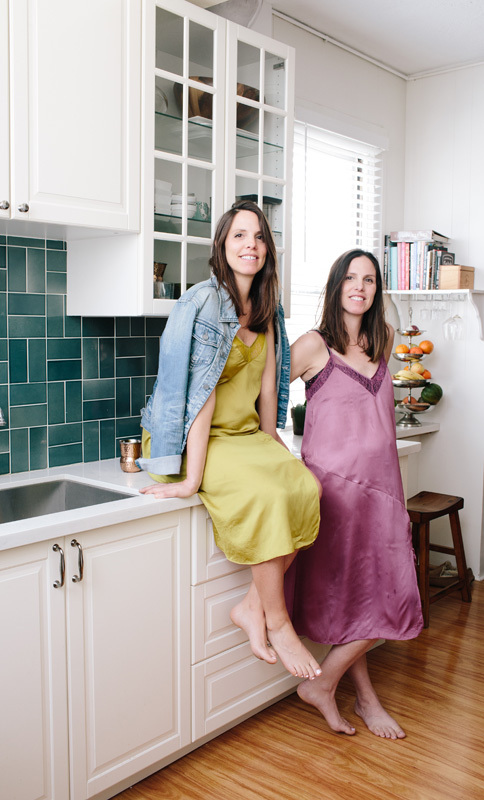 This is our full-time job, plus raising our kids." Sara: "We both come from a fine art and visual communication background. I attended the University of Colorado, Boulder, and Ashley the University of San Diego. I worked in the gaming and tech industry, designing mobile apps and websites, and Ashley was in advertising at an ad agency. 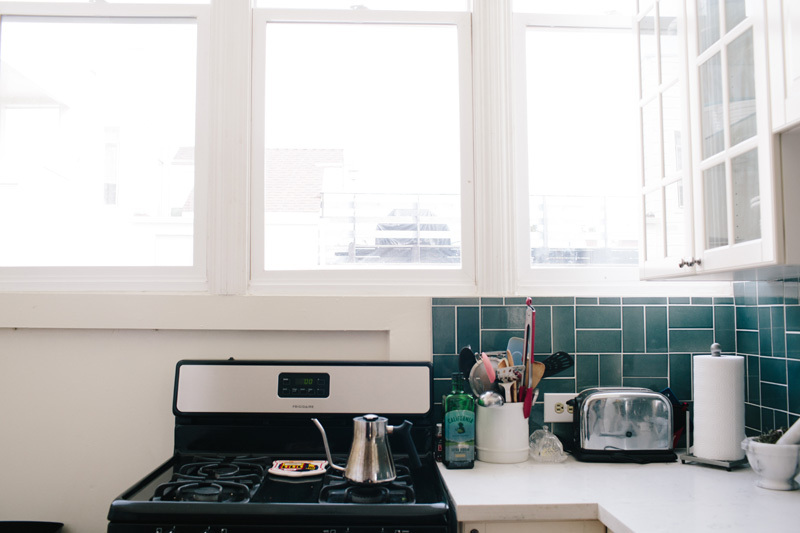 Our combined experience has proven tremendously helpful in all facets of the business, whether it’s branding, designing the Kin site, conducting photoshoots, or even client management." Sara: "We always knew we would own a business together. It took a few business ideas and for timing to work out, to know when it was right to go for it. We have always felt that you never really know unless you try, and we never wanted to regret not trying it on our own. 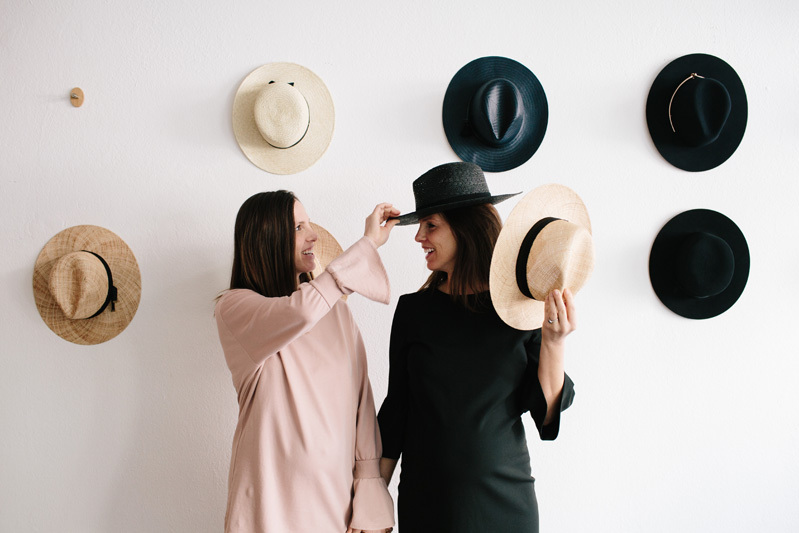 It takes the support of your family and friends to get through the trials and tribulations of starting and sustaining a business, and luckily for us we have not come across a naysayer in our circle. They continue to motivate us." 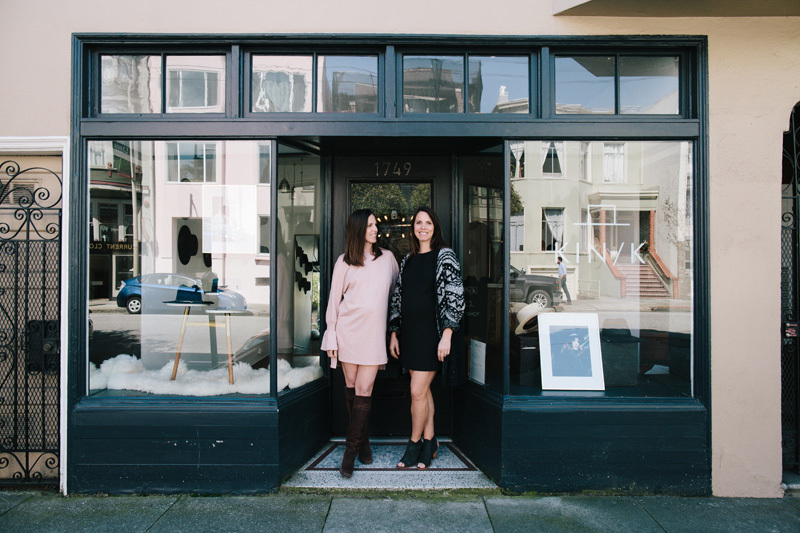 Sara: "Kin started in Ashley’s garage on Chestnut and Polk Streets in San Francisco. 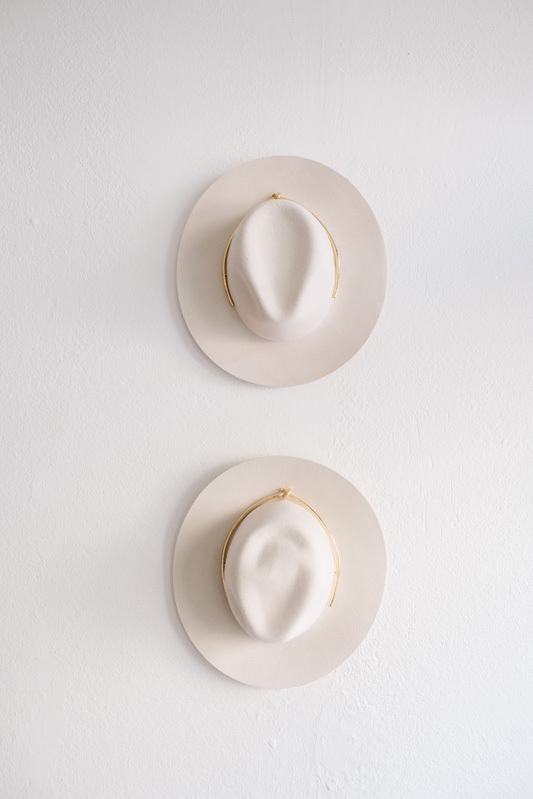 We learned how to block (pulling a hat body over a wood block shape), straw, and felt hats from hand following a workshop, and fell in love with the process. 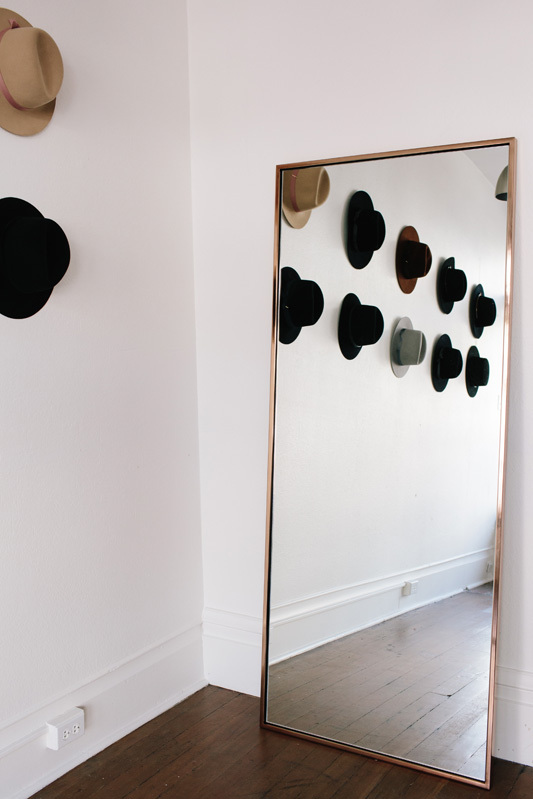 We wore hats growing up and thought this was that perfect venture. We started blocking our own in her garage and selling them periodically at trunk shows. We sold enough to consider finding a supplemental U.S. factory to produce our designs...and here we are 4 years later." 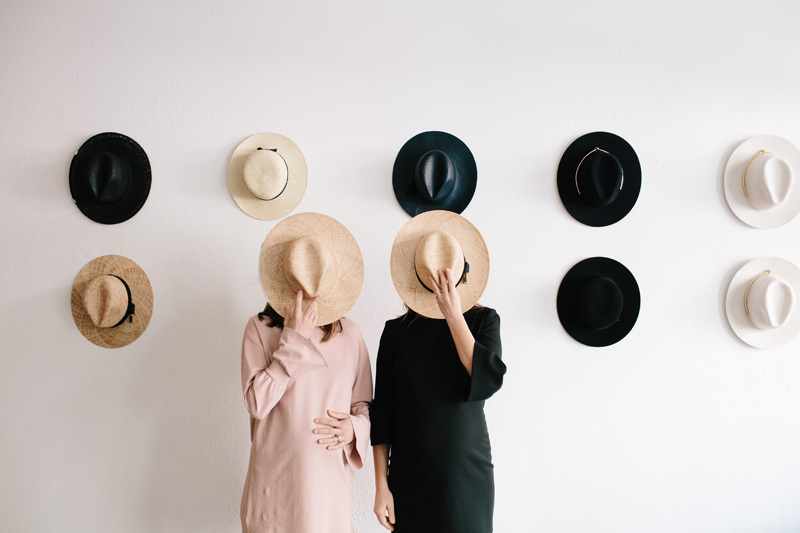 Ashley: "We found that, despite Goorin Brothers and inexpensive hats produced in China and sold in fast fashion chains, there was a void in the market for well designed and crafted women’s hats." 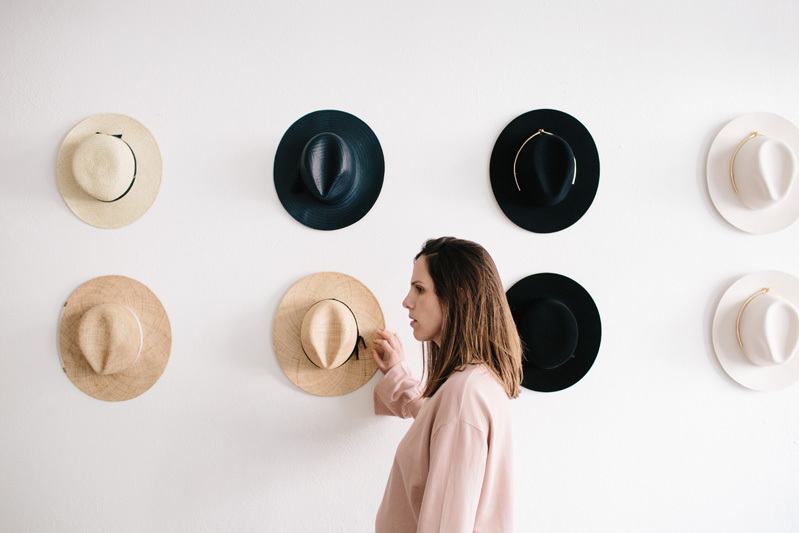 Ashley: "Try on a number of different shaped hats and brim lengths. 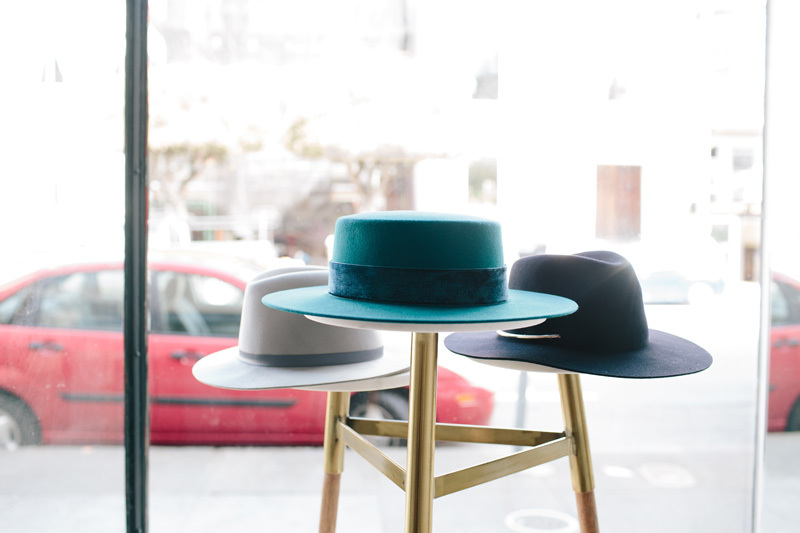 Face shapes typically determine which type of hats look best." Ashley: "The work itself hasn’t changed, however the motivation and drive to sustain the lifestyle of self-employment certainly has changed. 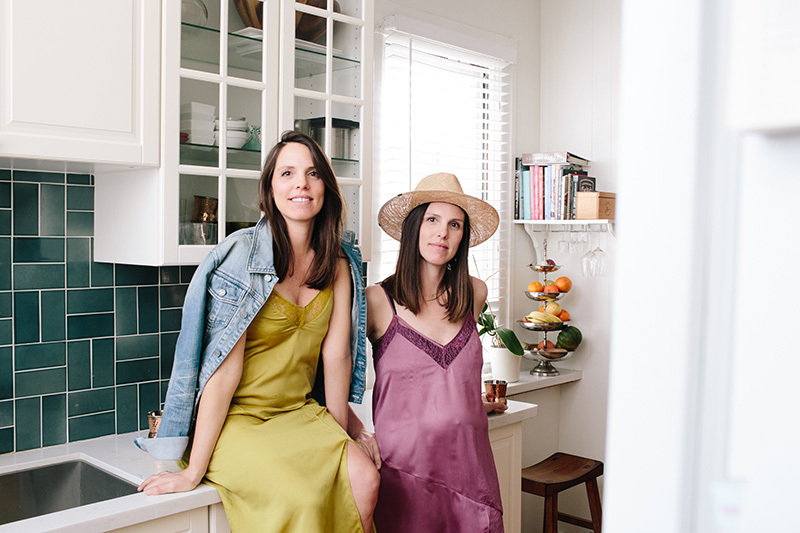 It’s very important for the both of us to have as much time as possible with our kids, while also having the creative and business outlet of Kin." Ashley: "Maternity leave will last approximately 1 week. Ha. As business owners, it’s difficult to turn this part of your brain off despite the joy and excitement of a new babe. We’ve clearly outlined our responsibilities for the business and strategy for the next few months so that we can tackle these tasks when we find time to do so. We grew up down the Peninsula in Los Altos Hills. So, we have lots of support from friends and family in the area." Sara wears an Alexander Wang sweatshirt, Joie jeans, and Mango mules. Ashley wears an Acne Studios tunic, JBrand jeans, Schutz shoes, and Klein hat by Kin. Ashley: "We love the opportunity to develop a brand that is a direct reflection of who we are as designers, sisters, and consumers. 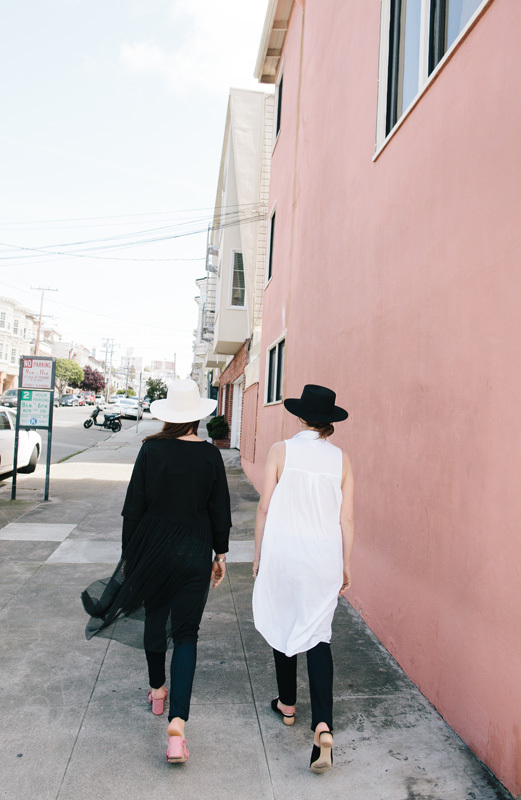 Designing and forecasting seasonal collections and traveling for inspiration is a dream come true." Sara: "We have just released neck scarves as a move to introduce more accessories into the line. 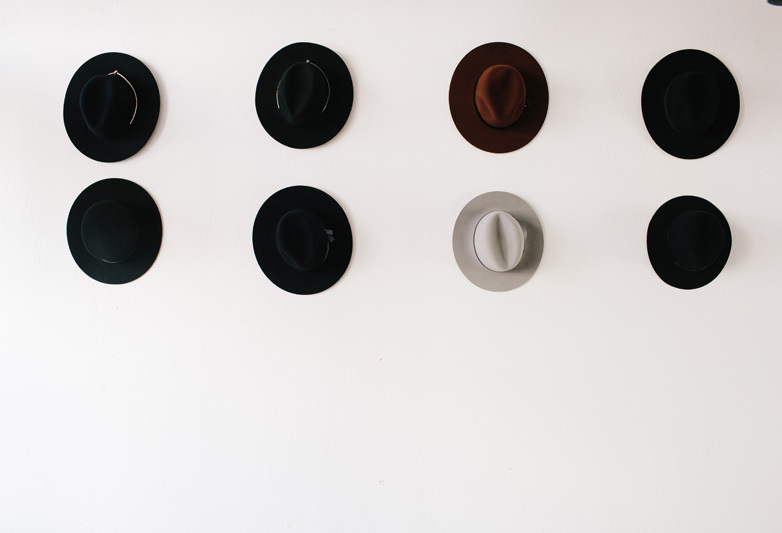 We are also putting out a men’s hat collection in the coming weeks!" 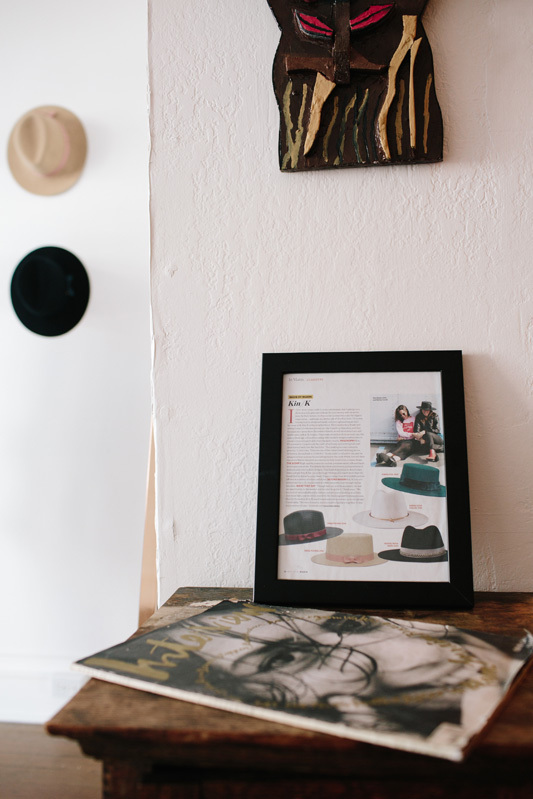 Sara: "My personal style has become a uniform of sorts. 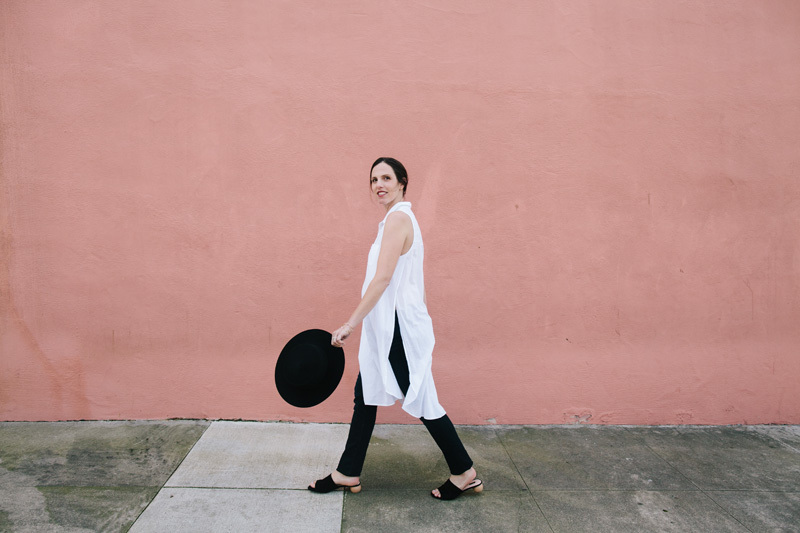 I have my go-to pants or slip dress paired with fun layers, because in San Francisco you never know what the weather will be like. I find I’m more into my accessories as of late. 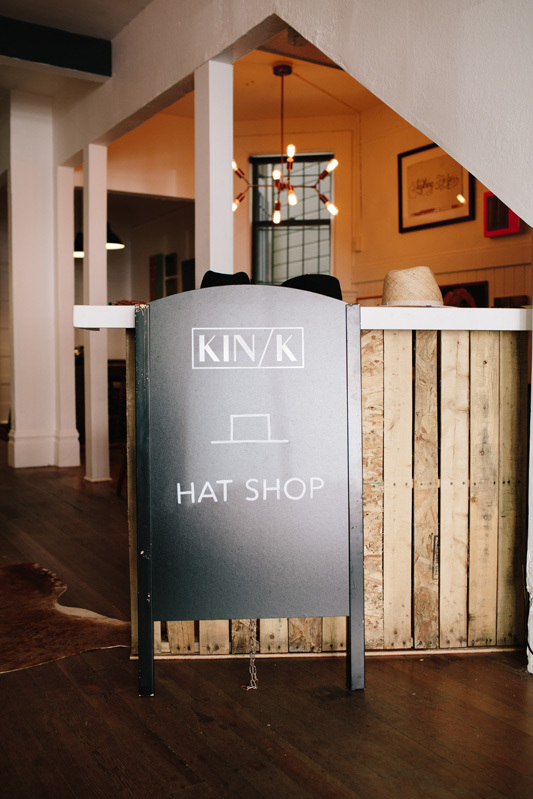 A great Kin hat or shoes go a long way with jeans and a tee." 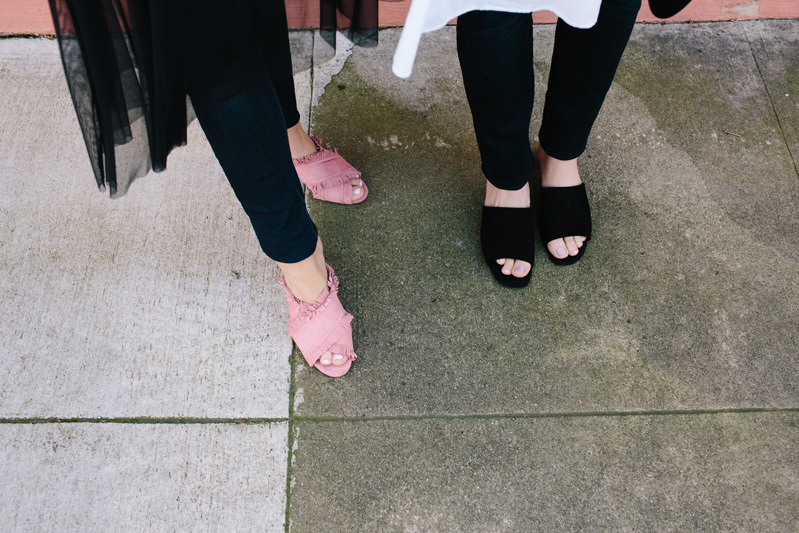 Sara: "My Joie black denim jeans and any structured blouse or peplum paired with a great pair of mules or slides." Sara: "I love Jenni Kayne’s simple pieces and her mule slides. Reformation is on my list for some summer purchases. I love that they are made in America and have responsible manufacturing." Ashley: "Stella McCartney has always been a responsible designer. I’m a fan of her color palettes and approach to athletic wear. Vince always has a clean aesthetic for solid basics. 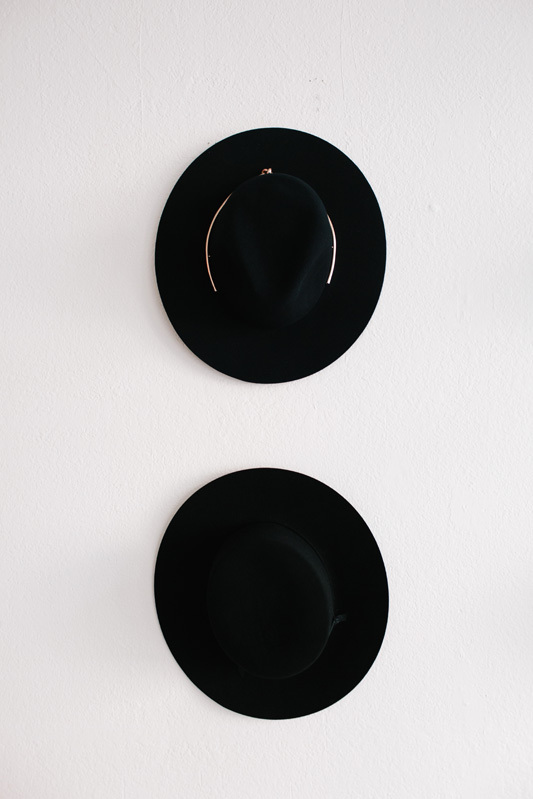 I prefer to have a fairly basic wardrobe and let the accessories, whether it be a hat, jewelry, handbag, or shoe, be the statement piece. Loeffler Randall shoes are a current fave." Sara: "My routine is pretty simple. I like to keep it fresh with a focus on lashes, brows, and cheek highlighter. My staples are the Laura Mercier tinted moisturizer, Benefit eyebrow mascara, Josie Maran Argan blush/lip cream, and MAC extended stay mascara." Ashley: "I have a wash/tone/moisturize routine down two times a day. I’m a believer in natural products that aren’t too heavy. I love my NARS eye concealer and Laura Mercier fiber mascara. I need it to last all day, because unlike the college days of having ample time, I need to apply once. I have a newfound love for Glossier's sunscreen. It’s water-based and doesn’t go on like white paste. Brilliant!" Sara: "Definitely getting a good morning workout in is a must. Anything from walking or stairs to a great yoga class. The working out has slowed down a bit since the end of pregnancy, but I'm eager to get back into my normal routine. We coldpress juice at home quite a bit, which helps stay on track for healthy eating and getting in those necessary fruits and veggies." Ashley: "Workouts aren’t what they used to be. Obviously with kids it’s more difficult to find the time to fit it in, so I rely heavily on in-home workouts and long walks. After my second pregnancy I look forward to getting back into yoga, tennis, and trail hikes/runs." Sara: "I treated myself to regular pedicures at the Parlor in Russian Hill. It’s a cute and cozy spot to enjoy a little relaxation. Every weekend my husband and I would take a walk along the waterfront to Crissy Field and stop at the Dynamo Donut stand for a cup of joe and a donut. They have the best donuts; not too big and tons of unique flavors. My fave is the gluten-free lemon rosemary." 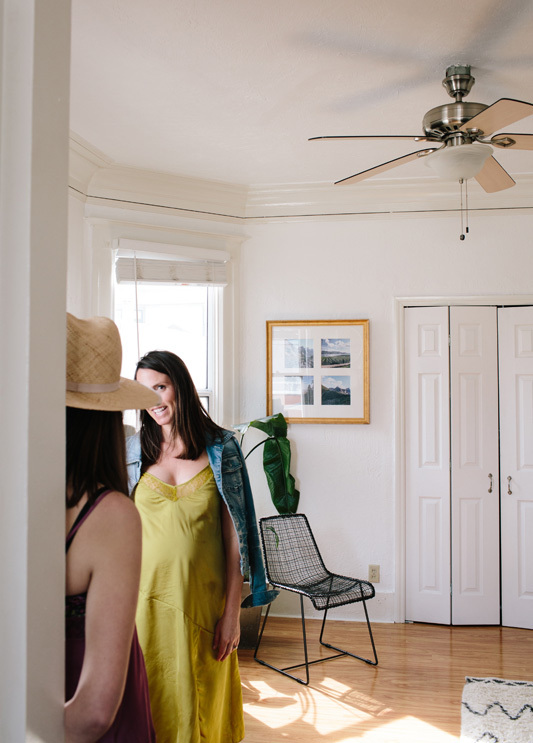 Ashley: "I located a Mama Massage spa in San Rafael that incorporates aromatherapy and allows you to lay on your stomach due to the table that is used. It’s an incredibly relaxing experience that I recommend at any stage of your pregnancy. I am crazy about frozen yogurt during pregnancy. Not sure why, but there’s nothing like a drive-through Straus Family Creamery cone from Super Duper Burger." 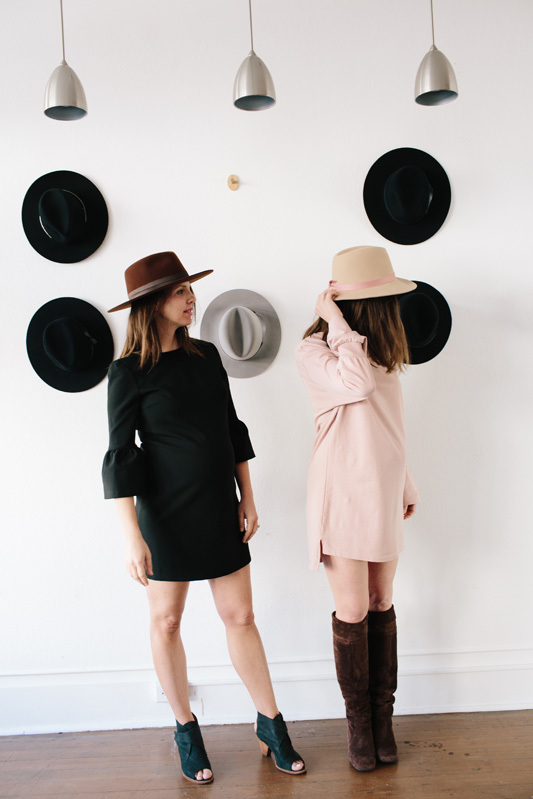 For more on Sara, Ashley, and their newest arrivals, check out their Kin The Label Instagram feed.